Eating dumplings, appreciating dragon dance and texting greetings to friends are what Chinese usually do to celebrate Lunar New Year. In February 2015, thousand-year-old festival traditions were vibrated by a new activity—sending lucky money (cash-filled virtual red envelops, or Hongbao) by mobile phones, and it went viral in China two days before New Year’s Eve. WeChat, a mobile app like WhatsApp, launched a new feature that allowed its users to send and receive lucky money by linking up their bank accounts to WeChat’s digital wallet. Users may either send lucky money directly to other WeChat users who have also linked their bank accounts to WeChat, or, by spice things up, wrap a number of red envelopes and distributed them randomly among users in a chat group. Because chances of getting a red envelope are limited, users in the same chat group usually have to compete for lucky money. Technology has changed the way Chinese celebrate their Lunar New Year. While in Chinese culture, receiving lucky money is a privilege of children, WeChat nowadays attracts people of all ages to enjoy this festival activity, as parents are sending money to children, husband to wife, bosses to employers and friends to friends. Moreover, lucky money not only brings material value to receivers, but is a way of showing best wishes and respect to others. Particularly, by competing in claiming money in a chat group, more people became active in online social media, sharing and spreading enjoyment with WeChat friends. There is no denying the fact that Wechat’s developer–Tencent Company, a Chinese internet giant is the biggest winner in the lucky money game. While WeChat users are allowed to cash lucky money, most people prefer maintaining money in WeChat digital wallet or making a payment in online stores, which are also sponsored by Tencent. By directing people to use its personal finance products, Tencent made their first success in attempt to leverage its dominance in social network and e-commerce, and unlocking more possibilities in China’s internet finance, or more exactly, mobile finance, which is regarded as one of emerging industries in the near future. The idea of offline-to-online money transfer was originated from Tencent’s long-time rival–Alibaba, which allowed users to send lucky money through its payment platform Alipay on last New Year’s Eve. Yet, due to a small number of users and a strict banking regulation, Alibaba’s lucky money activity did not receive much attention. On the contrary, WeChat app owns an estimated 500 million registered users in China and 20 millions users overseas. By linking a networking platform with digital wallet, Wechat won five million banking accounts in two days. According a report from Xinhua Agency, more than five million people participated in the lucky money activity before New Year’s Eve. At its peak hours, over 121,000 red envelopes were being claimed within five minute, generating more than one billion cash flow. While people are still immersing themselves in the red envelope bombs, some scholars and lawyers have raised legal problems and risks arising out of mobile money transfers. For instance, some argues that lucky money offers a concealed way of conducting business bribery; others worry about tax and interest issues of money retained in Wechat account and a possibility of personal information leakage. By a way of defending Alibaba’s dominance, Jack Ma, the president of Alibaba, announced that he dropped his Wechat account. Alibaba and Tencent have been competing with each other in mobile-app-based service for a long time, ranging from digital wallet to cab networking. Whether or not WeChat has become a real threat to Alibaba’s territory of internet business, the competition between two giants will undoubtedly promote China’s internet finance market and ultimately benefit users. In December 2013, the World Trade Organization (WTO) concluded negotiations on the Agreement on Trade Facilitation, the first new fully multilateral trade agreement in 20 years. When fully implemented by all WTO members, the agreement has the potential to increase efficiency by eliminating red tape and bureaucratic delay for goods shipped around the globe. The Agreement could help businesses by reducing costs and delays, increasing transparency in customs practices, reducing documentation requirements, and allowing for the processing of documents before goods arrive, as well as encouraging the use of electronic payments. The OECD estimates that the agreement can cut trade costs by almost 15 percent for low-income countries and 10 percent for high-income countries. Join our featured speakers for a panel discussion as they set the scene on the Trade Facilitation Agreement and review the next steps to implement this multilateral agreement. Richard CHRISS, Executive Director, American Institute for International Steel -new! please email events@wita.org to verify. Liberalization by the Burmese military regime has been much-lauded on the international stage since its implementation in 2012 by President Thein Sein. However, the military apparatus continues to wield overwhelming influence over the legislative, executive, judiciary, and economic state sectors. Instead of continuing the momentum of liberalization, the state has allowed religiously-based ultranationalist movements to gain power and infringe on human rights, especially women’s rights. Distortion of nationalist ideas and manipulation of religious chauvinism have become serious challenges confronting further democratization in Burma. In this situation, democrats, civil society organizations, and women’s rights advocates face serious hurdles in the shrinking space allowed to them. In her presentation, Zin Mar Aung will evaluate the current challenges and opportunities for Burmese civil society to counter military influence and the rising tide of Buddhist ultra-nationalism. She will offer recommendations for domestic and international action on these issues and strategies for empowering a new generation of leadership. Her presentation will be followed by comments from John Knaus. Ms. Zin Mar Aung is co-founder of RAINFALL, a Yangon-based organization that empowers women in Burma through human-rights trainings and awareness-building at the community level. A former prisoner of conscience, she was arrested in 1998 for participating in the student-led democratic uprisings against Burma’s military regime and released eleven years later. In 2009, she formed a self-help group for ex-political prisoners and co-founded the Cultural Impact Studies Club to promote the idea that democracy is compatible with Asian culture. In 2011, she co-founded the Yangon School of Political Science, a NED-funded institution that educates young activists in the values of democracy. For her efforts to strengthen women’s rights, democratic values, and conflict resolution in Burma, she was awarded the International Women of Courage Award in 2012 by then–Secretary of State Hilary Clinton. During her fellowship, Zin Mar Aung is developing a roadmap for women’s political empowerment in Burma, with recommendations for how women may participate effectively in political life. She is also producing a training manual as a resource for women’s organizations in Burma. John Knaus is senior program officer for Southeast Asia and North Korea at the National Endowment for Democracy. This week, Sri Lankans welcome their first new president in a decade. In an election called two years ahead of schedule, surprise incumbent challenger and former Health Minister Maithripala Sirisena narrowly, albeit impressively, defeated outgoing President Mahinda Rajapaksa. But while the face of Sri Lankan politics is changing, the challenges of restoring human rights to the war-torn country remain. With this change in power comes an opportunity for a turning point in the country’s troubled history. Looming large over the new administration is the question of whether there will be continued impunity for the violence endured over decades of fighting between the military and separatist Tamil forces. Sirisena steps into office as the UN Office of the High Commissioner for Human Rights Investigation in Sri Lanka (OISL) enters the final stages of its investigation into the alleged atrocities committed under Rajapaksa’s rule at the end of the twenty-six year conflict. The UN report on the investigation will be issued in March, meaning that Sirisena has no time to waste if he is to take domestic action to address Sri Lanka’s human rights record. When Rajapaksa came into office ten years ago with a promise of peace, an uncomfortable and uncertain ceasefire was already breaking down between the Sri Lankan Government and the Liberation Tigers of Tamil Eelam (LTTE). Before being elected, Rajapaksa himself had called on the UN for its assistance in ending the conflict. But once in power he shunned the international community’s calls for a further ceasefire. After peace talks collapsed for the last time in June 2006, there was another three years of armed conflict that left more than 40,000 dead on his watch. Five years later, Rajapaksa enjoyed a hero status in the eyes of many of the Sinhalese majority for ending the bitter conflict. Leveraging that status, he called for early elections, confident of his chances. That time, he was right. The president began to display an increasingly authoritarian bent. Having amended the Constitution in 2010 to allow himself to run for a third term, Rajapaksa called for early elections again at the end of 2014. He may well have been trying to again extend the longevity of his claimed constitutional immunity – despite suggestions that such sovereign claims of impunity would flounder in the face of international norms. With the impending UN report in March – a report that will likely condemn Rajapaksa’s actions and may even lead to calls for his prosecution as a war criminal – the timing of the elections was no coincidence. The move was just the latest in his efforts to immunize himself against justice over the past few years. This time, his plan failed dramatically. Rajapaksa has been ousted from Sri Lankan politics, and he is unlikely to be able to avoid being held accountable internationally come March, as he has come under the most scrutiny for his part in ending the conflict. As commander-in-chief of the Sri Lankan military, he had a duty to prevent any crimes committed by his subordinates that he knew about, or should have known about. He was also duty bound not to order such crimes be committed himself. And given that Rajapaksa’s internal inquiry into the events of the latter years of the conflict were roundly lambasted as a sham, it seems almost certain that Rajapaksa failed in his international law obligations both to abide by the Geneva Conventions and protect civilians from mass atrocity crimes. It remains to be seen what the inquiry will reveal. But a pattern of summary executions of Tamil forces – all in which they were shot at close range with hands tied behind their backs – suggest a systematic plan. And government killings weren’t limited to enemy militia, but targeted civilians too. As former UK Secretary of State for Foreign and Commonwealth Affairs, David Miliband, pointed out, the amount of food aid making its way into a no-fire zone – where 200,000 to 300,000 Sri Lankan civilians sought refuge during the month of April 2009 – was enough to feed no more than 60,000 people for just two days. By deliberately downplaying the numbers of civilians at 5,000-10,000, the government effectively justified the starving of innocent civilians. Even more egregious, government troops later took out and shot the wounded in what it claimed was a rescue mission. In their pursuit of the Tamil Tigers, there was at least one thing Rajapaksa and his officials were not willing to sacrifice: their impunity. While the international community has been left aghast by humanitarian atrocities that they see as being easily traced up the chain of command to Rajapaksa and his military leaders, Rajapaksa found solace in Article 35 (3) of the Sri Lankan Constitution, which, as the UN Human Rights Committee noted, provides virtually total immunity to Sri Lankan heads of state – in direct contradiction to international laws on the prosecution of suspected war crimes and crimes against humanity. However, even the harshest critics of Rajapaksa and his government agree that the LTTE committed major atrocities themselves. Having carried out over two hundred suicide bombings and forcing children to act as combatants, the LTTE has a terrible record. But the commission of war crimes and crimes against humanity by the LTTE does not justify even greater atrocities being committed as a retaliatory response by the government. Both sides need to be held to account to the same international standards. If he is at all concerned with human rights, Maithripala Sirisena’s first priority must be to address the failings of his predecessor in respect to the conflict. Unfortunately, this looks unlikely. Sirisena has offered no messages of support to the Tamil and Muslim populations and has made it clear that he has no intention of seeing justice done for the crimes alleged to have been committed by the government and its forces at the end of the war. He has issued statements indicating his complicity in burying Sri Lanka’s troublesome recent history. Like Rajapaksa, Sirisena too has given a cold shoulder to the UN investigation. And most concerning, he has said that he will not allow the prosecution of any political leader or senior military commanders for war crimes. If Sirisena is to make a change, he can start by leveraging the hopefulness and eagerness for change that surrounds his election by reconsidering his stance on the UN investigation, and turning around his policy on political and military immunity. As he establishes his administration, he can also make conscientious choices about who to share his power with. Right now, Sri Lanka has a chance for unprecedented change, but it rests in Sirisena’s hands. Asia’s role in leading the global economic recovery and the associated shift in investment activity from West to East is contributing to a golden age of arbitration in Asia. Hong Kong, Asia’a premier location for dispute resolution, is increasingly playing host to the resolution of some of the most complex and diverse disputes today. Join us to explore the short and medium term trends experienced by the Hong Kong International Arbitration Centre (HKIAC) in the cases it handles, as we look back over the past five years of development and consider what this foretells for the future. Attendees will also have the opportunity to watch some of Asia’s leading legal minds go head to head with their American counterparts, as they seek victory in a mock arbitration conducted under the new 2013 HKIAC Administered Arbitration Rules (the 2013 Rules). The ability to effectively and efficiently manage complex arbitrations is a key differential between the current collection of leading institutional rules. Enjoy a lively demonstration of the application of Article 28 of the 2013 Rules and how issues of consolidation play out in practice. The Congressional-Executive Commission on China (www.cecc.gov) is offering paid internships to qualified undergraduates, graduate students, or recent graduates this coming fall in Washington, D.C. Interns must be U.S. citizens. The application deadline is July 1, 2014 for the Fall 2014 internship that runs from September 1 to December 15, 2014. Fall internships are part-time; interns are expected to work from 15 to 20 hours per week. See application instructions below. Interns work closely with the Commission and its staff on the full array of issues concerning human rights, the rule of law, and governance in China (including criminal justice, democratic governance institutions, environmental problems, religious freedom, freedom of expression, ethnic minority rights, women’s rights, etc.). Interns perform important research support tasks (often in Chinese), attend seminars, meet Members of Congress and experts from the United States and abroad, and draft Commission analyses. Click here for CECC analysis of recent developments in the rule of law and human rights in China. Interns may also be trained to work with the Commission’s Political Prisoner Database, which has been accessible by the public since its launch in November 2004 (click here to begin a search). Fall 2014 interns will be paid $10/hour. Those unable to apply for Fall 2014 internships may apply for the Spring (February-May) or Summer (June-August). Further details are available on the Commission’s Web site at http://www.cecc.gov/pages/general/employ.php. Interested applicants should send a cover letter, resume, and the names and contact information for two references, to the CECC via e-mail to Judy Wright, Director of Administration at judy.wright@mail.house.gov by July 1, 2014. Applications must be received by our office no later than 11:59 P.M. Eastern Time on July 1. Please discuss in your cover letter how your professional goals, interests, and background relate to the Commission’s legislative mandate regarding human rights and the rule of law in China. No phone calls please. Last week, a story about Give2Asia’s on-site visit to Guiuan, Eastern Samar was featured in the Positively Filipino Magazine. It includes a first-hand account from Give2Asia’s Philippines Representative, Alexie Mercado, and provides some updates on what Give2Asia’s relief efforts in the region look like. To learn about how you can contribute to the Typhoon Yolanda Recovery Fund, click here. 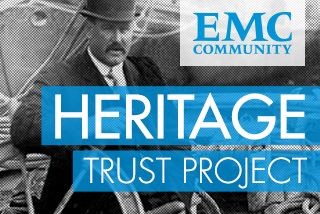 The EMC® Heritage Trust Projectrecognizes and supports local organizations worldwide that advocate the digitalization, preservation and improved access of significant cultural resources. Since it was founded, the program has awarded Heritage Trust grants to 38. This program awards three grants of up to $15,000 USD is open to institutions in India, Japan, Mexico, Philippines and other countries. Applications will be accepted May 7, 2014- June 20, 2014. The top seven finalists will be announced on August 1, 2014. The general public will have the opportunity to vote for their favorite project and the top three winners will be announced on August 27, 2014. To learn more, follow this link to the Heritage Trust icon. May 16-17, 2014 - TiEcon 2014, is one of the largest & longest ongoing conferences focused around entrepreneurship and tech innovation. Ranked alongside Demo, TED and World Economic Forum as one of the top 10 conferences for ideas and entrepreneurship by Worth Magazine. TiEcon 2014 will focus on the hottest areas of innovation. Friday, May 16 will feature three-full day tracks focusing on Cloud Infrastructure, Big Data and the Internet of Things. Saturday, May 17 will emphasize best practices for entrepreneurs. Attendees will hear perspectives of industry luminaries, VCs, and successful entrepreneurs and have opportunities to connect with mentors, find their co-founder counterparts and interact with innovative companies in the Innovation Expo Hall. Give2Asia’s partners and clients save $100 using promocode: TIEG2A. Register now! Tulay ng Kabataan (TNK) Foundation was founded in street children and children from very poor families gain access to basic human needs and to prepare them for a brighter future through a complete formation, taking into account all human dimensions and skills.The organization runs 4 programs that include running rehabilitation centers for street children, providing training and shelter for the mentally challenged, health programs designed to provide nutrition and health care, and providing education for children living in Manila’s slums. The Tao Foundation for Culture and Arts was started by a group of artists, educators, social workers and culture enthusiasts to empower the Filipino society through cultural education, research and publications. 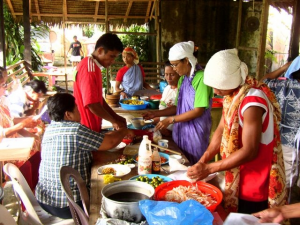 The Foundation promotes inter-faith and inter-tribal dialogue among different ethno-linguistic groups and faith communities by establishing linkages and partnerships among communities, cultural workers, NGOs, government agencies and the private sector. 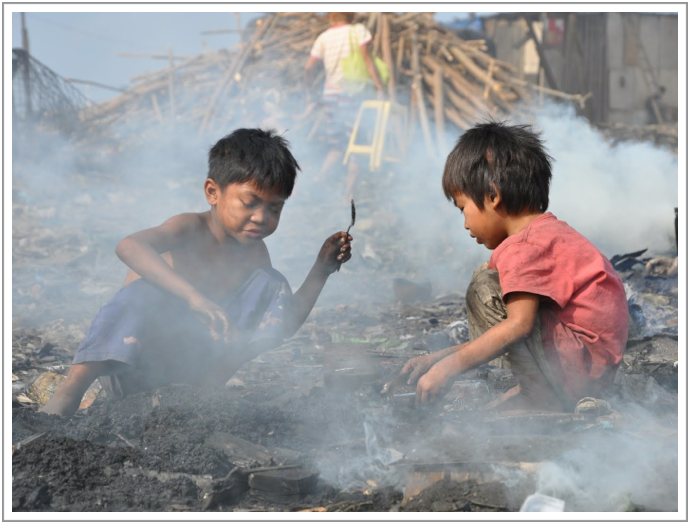 Copyright © 2014 Give2Asia, All rights reserved.